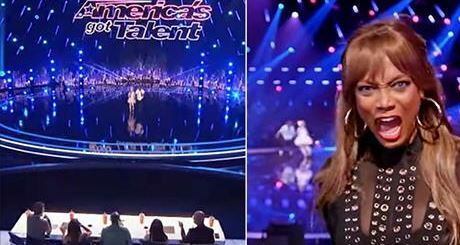 One of the greatest things about the show America’s Got Talent is that there are no age restrictions. It doesn’t matter if you’re a talented toddler or a groovin’ grandma, you’re welcome to the stage. You might be familiar with the hit song from the very popular 80’s movie Dirty Dancing. It’s a bit of an “adult” type of routine and movie so the judges were a bit surprised by the choice, but they were excited to watch it. It was Paige and Artyon’s second performance for the judges, so everyone was anxious to see what they were going to pull out of their sleeves. “All I can say is just have fun and wow us again. Good luck!” Heidi Klum told the two little dancers. The adorable duo has been dancing for years and it obviously shows in their amazing and adorable performance. You’ve just got to see it for yourself.